Home security systems in Seattle & Bellevue, WA have become a bit of a hot commodity. The reasons for their popularity are clear; home security is more affordable than ever, it provides solutions to a number of homeowner concerns, and the tech-savvy individuals inhabiting Seattle and Bellevue recognize and respond to the convenience and novelty of modern security systems. The ability to control particular aspects of one’s home remotely certainly appeals to the technologically minded, but why shouldn’t it appeal to everyone? After all, that’s just scratching the surface when it comes to the reasons for getting a home security system. 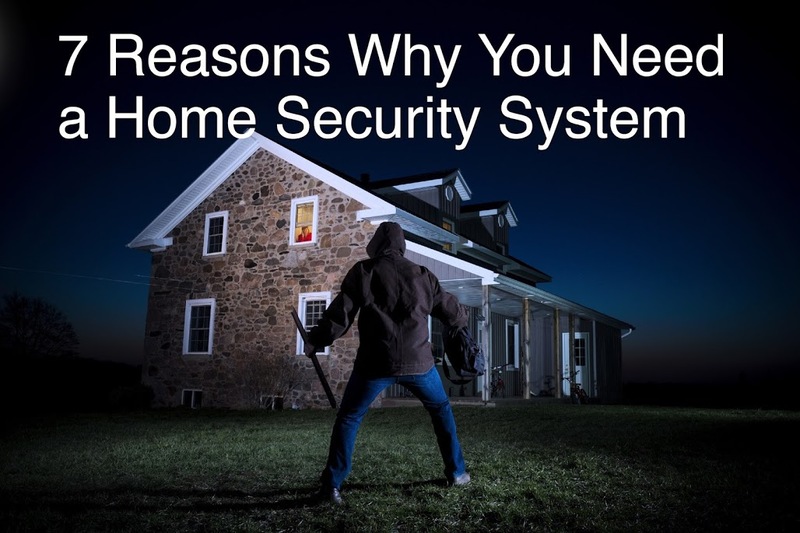 In case you need a little reminder, here are 7 reasons why you need a home security system. Homeowners insurance is there to protect your home and your possessions from a number of devastating events. Anything that lowers the level of risk your insurance company attributes to you, like a home security system, will lower your rates. In general, those with a home security system tend to save 10-20% on insurance annually. This is perhaps the most obvious reason to get a home security system, to protect you and yours from dangerous intruders. Aside from any physical threats, a break in can be costly both financially and emotionally. You may be weary of spending money on a home security system, but it could cost you more if you don’t. We’re pretty fortunate for our climate when it comes to fires here in PNW, but home security systems in Bellevue and Seattle still have fire and smoke detection for a reason. You can never be too safe. Home security systems can provide advance warning for fire, smoke, and carbon monoxide, so you’re able to get out and get help before the situation gets out of hand. We dare you to pour over all the home security system reviews for Seattle and Bellevue. Here at Wipliance, we offer a 30-day guarantee to match local authorized dealers. No matter what any other review out there says, we will build a system and find a price that’s right for you. Imagine being able to control your lighting, motion detectors, and alarm system with your phone? This sort of remote control comes in handy when you’re away from home but need to keep an eye on your home or adjust your system on the fly. Homeowners nowadays expect more out of their home security system, in Bellevue and Seattle, WA especially. Home security systems are often integrated with landlines and emergency systems. Your home security system can alert the authorities to an intruder or a fire before you’re even able to reach the phone. When an emergency happens, its those few seconds that can really matter. Above all, your home security system provides you and your family peace of mind. When you’re away from home, the last thing you want is to have to worry. Out of all the home security systems in Bellevue and Seattle, Wipliance is sure to suit your needs and your budget. We pride ourselves on providing residential & commercial security of highest caliber to provide safety, convenience, and peace of mind. on Wednesday, 11 November 2015.